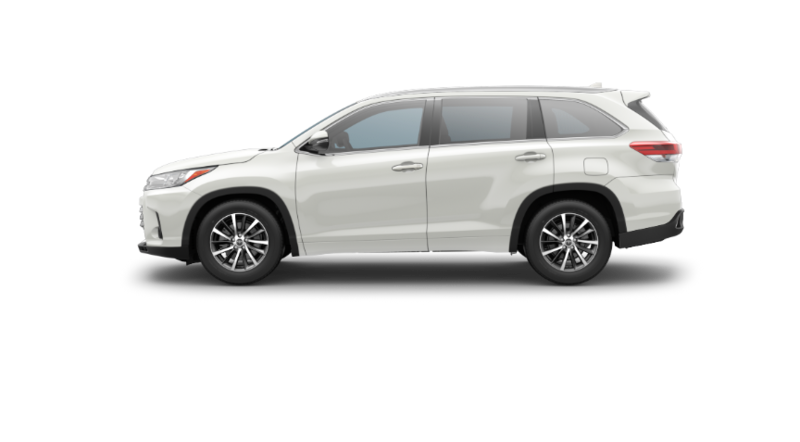 With the efficiency and power to take you further, the Toyota Highlander is available with your choice of either a 2.7-Liter 4-Cylinder or a 3.5-Liter V6 DOHC engine. An innovative Stop and Start Engine System on V6 Highlander models helps you maximize your fuel efficiency on your daily commute. The available Dynamic Torque-Control All-Wheel Drive system is able to distribute power from front to rear while managing the vehicle’s brake system for greater driving confidence and stability when the road conditions are less than ideal. 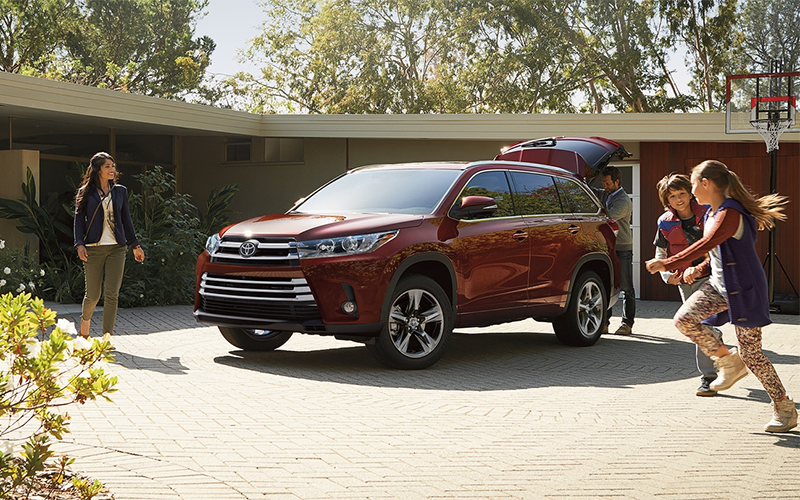 Thanks to a 5,000 pound towing capacity (when properly equipped), the Toyota Highlander proves to be a helpful companion when loading up your gear for your next camping trip. 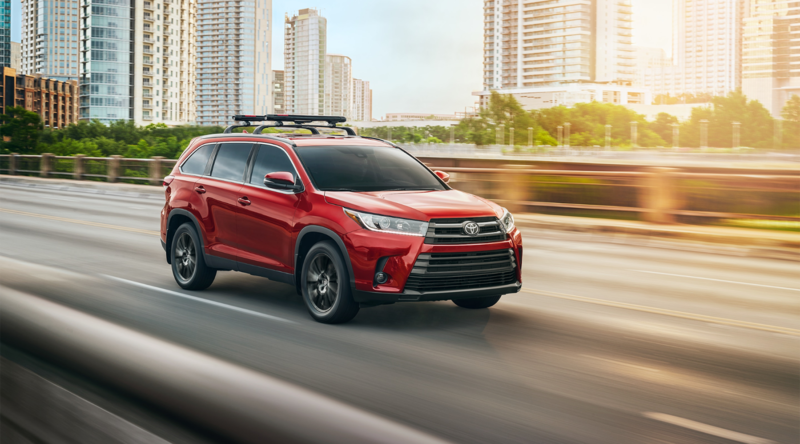 The interior of the Toyota Highlander features refinement that rivals luxury SUVs — with acoustic-type glass and silencing insulation materials to help minimize road noise. The Highlander has seating for up to 8 along with amenities to keep everyone entertained for the journey. An optional rear-seat Blu-ray Disc™ entertainment system and a total of 5 USB ports help keep the whole crew connected on those long stretches of highway. Easily accommodate cargo, passengers, or a mix of both thanks to the 60/40 split folding third row seat. Fill the cabin with fresh air and natural lighting with an available panoramic sunroof in the Toyota Highlander. 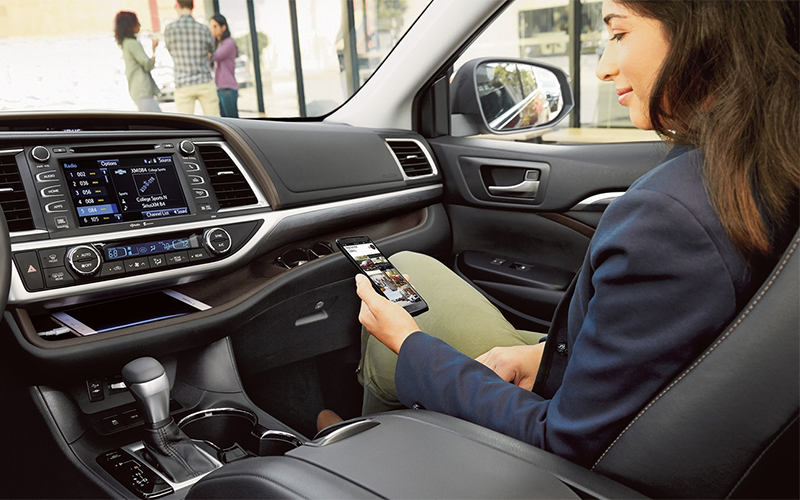 Innovative technology features found on the Toyota Highlander help make every drive more engaging, no matter where you’re headed. Enjoy a suite of popular apps, SiriusXM® Satellite Radio, and integrated navigation to help you arrive at your destination on-time with the optional Entune™ Multimedia Bundle. Avoid communication hassles with the available Driver Easy Speak feature, which has a built-in microphone that transmits your voice over the speakers to rear-seat occupants, making communication simpler and safer. 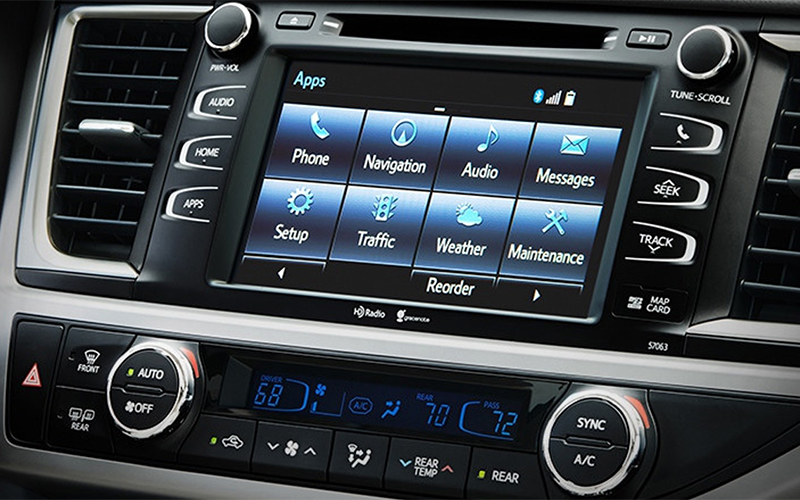 Keep everyone comfortable with the optional three-zone automatic climate control system offered on the Toyota Highlander. 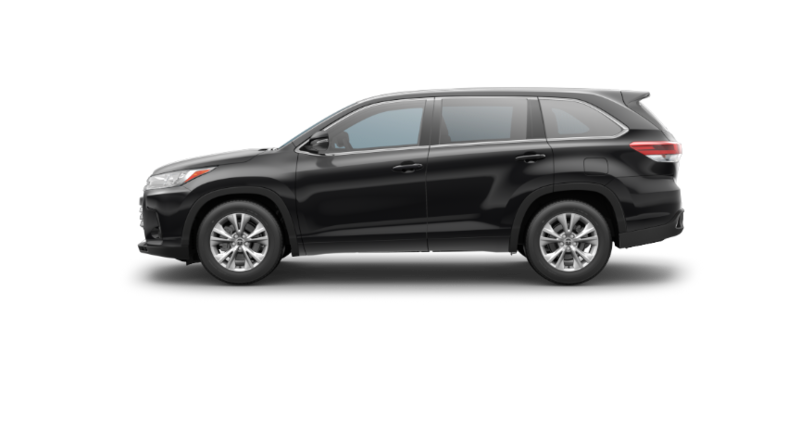 A Bird’s Eye View Camera with Perimeter Scan helps you maneuver the Highlander into even the tightest spaces with total confidence.